It’s cool they have a good cafe in there also cooking up some great dishes..
Not eating there today though. 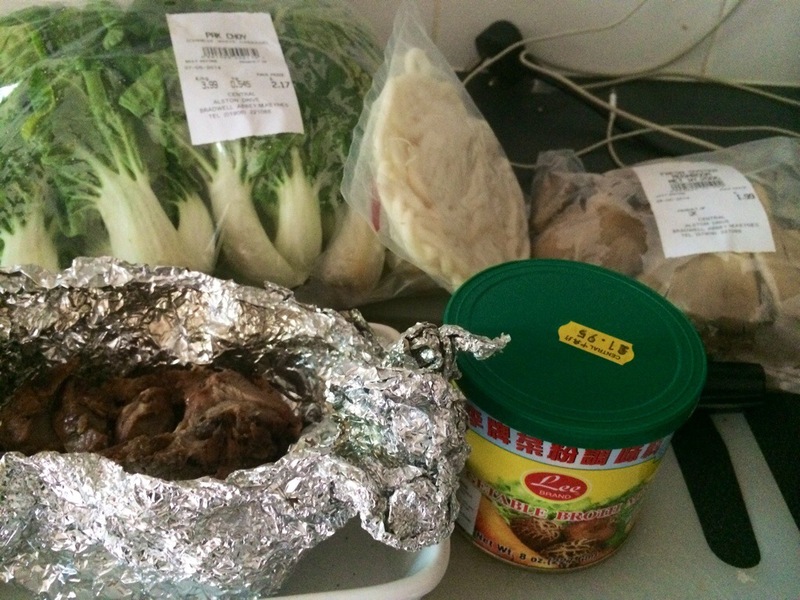 We have leftovers to use ! 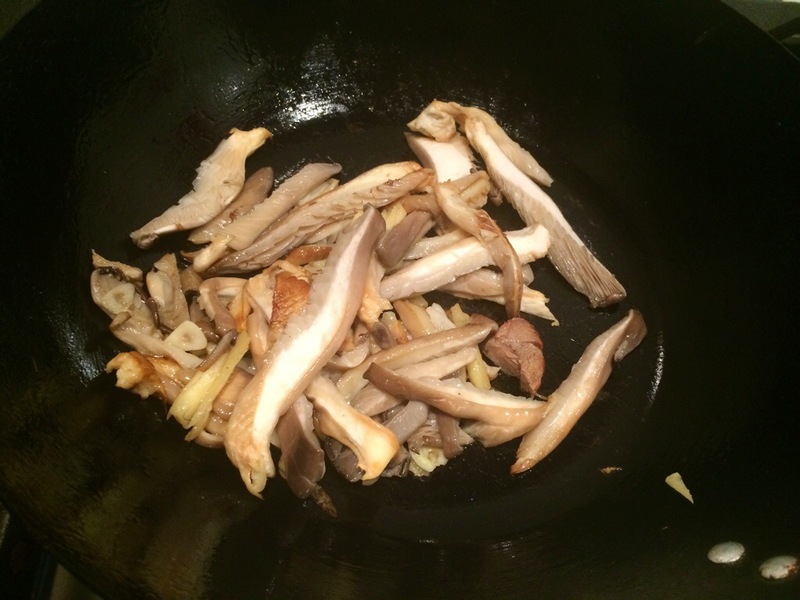 A pack of pak choi was needed and some very fine fresh oyster mushrooms. I loved looking at all the other varieties of fresh produce they have there , stuff you have never seen and really are unsure what to use it for/in! 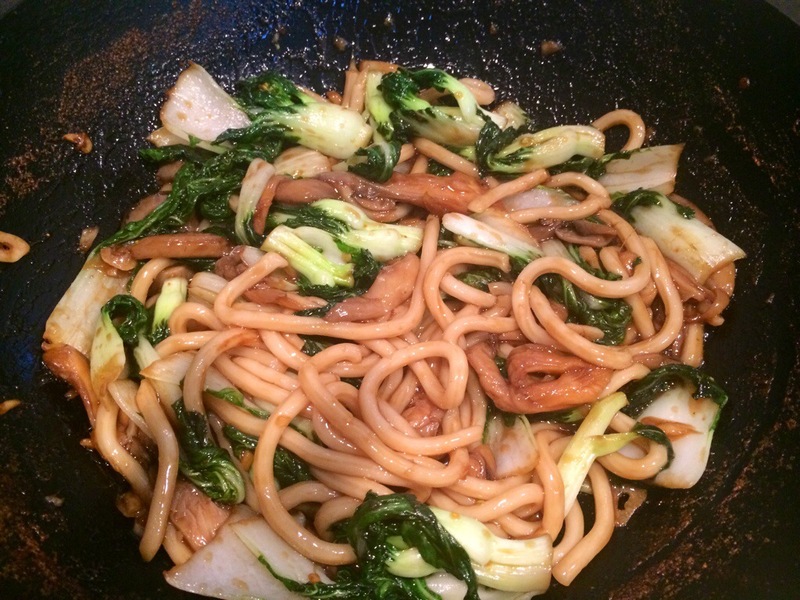 Yet I know where I am going for tonites supper..
Ginger garlic and oyster sauce added.. Sizzle sizzle swish swish .. A little butter added . Finish.. Delightful! 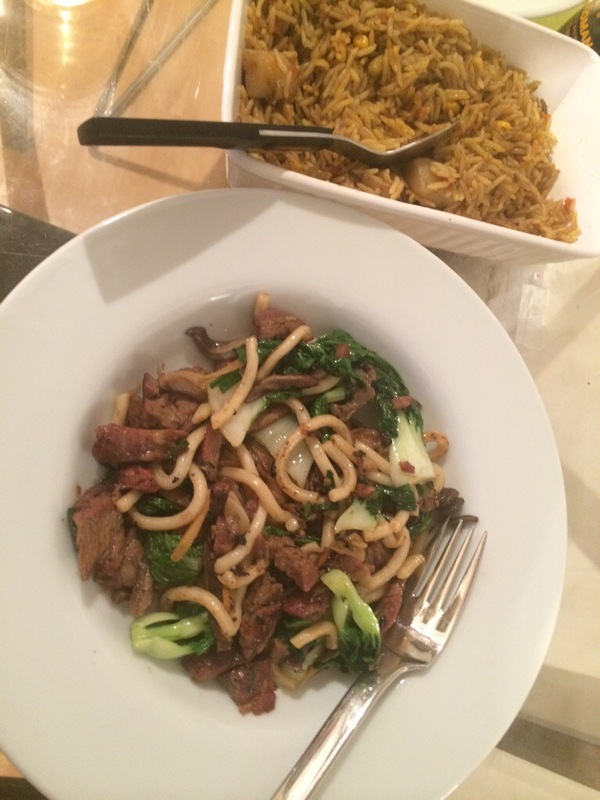 Use up the leftover blackbean BBQ lamb. Following the same pattern . 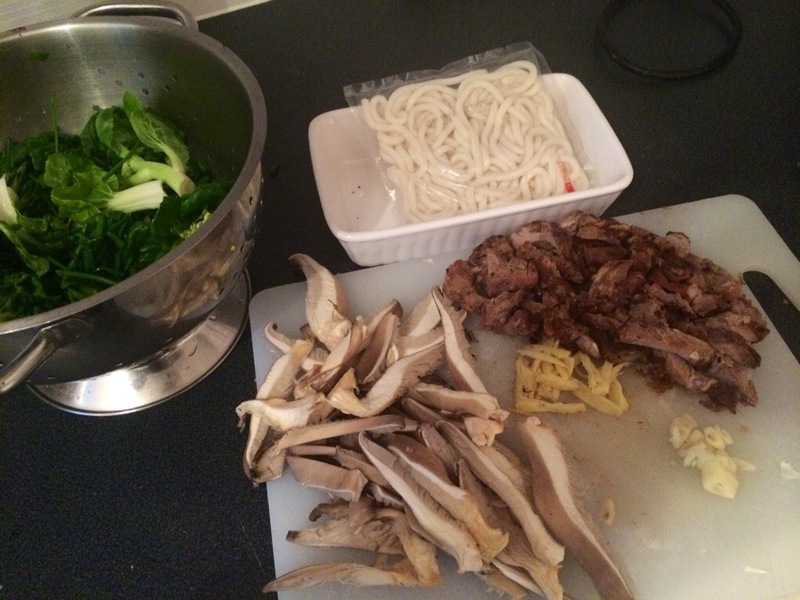 Pak choi oyster mushroom ginger garlic and chilli oil.. Udon noodles and the lamb. A splash of soy sauce. 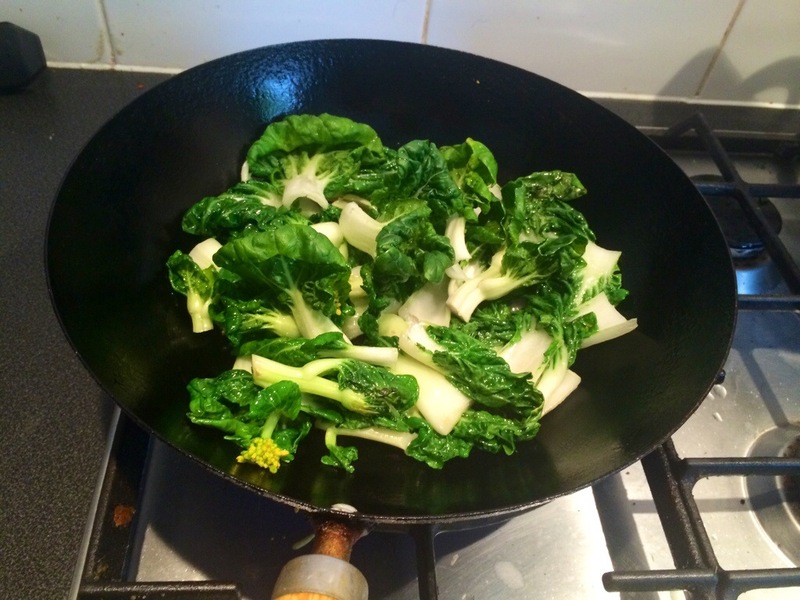 A sprinkle of broth powder and that was it..
You forget (well I do anyways ) just how easy and lovely stir fried food is. The rice? That wonderful biryani from the Tilda family.. Just to bulk up the meal ..
And for dessert? 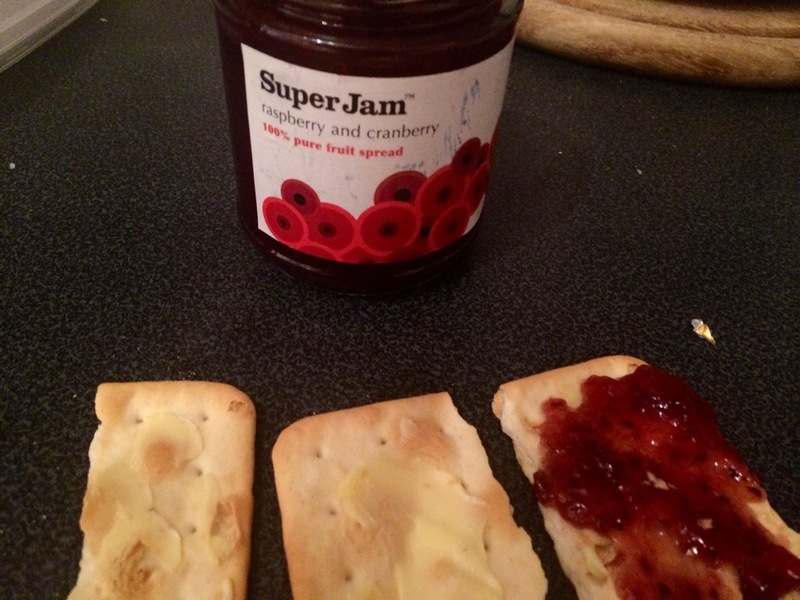 Cream crackers with butter and super jam . I sent a pic over to my attorney.. he already thinks I’m crackers! mailing back asking if we were out of good in the house! Great supper , felt full without feeling stuffed ,, like fresh full if that makes sense ! 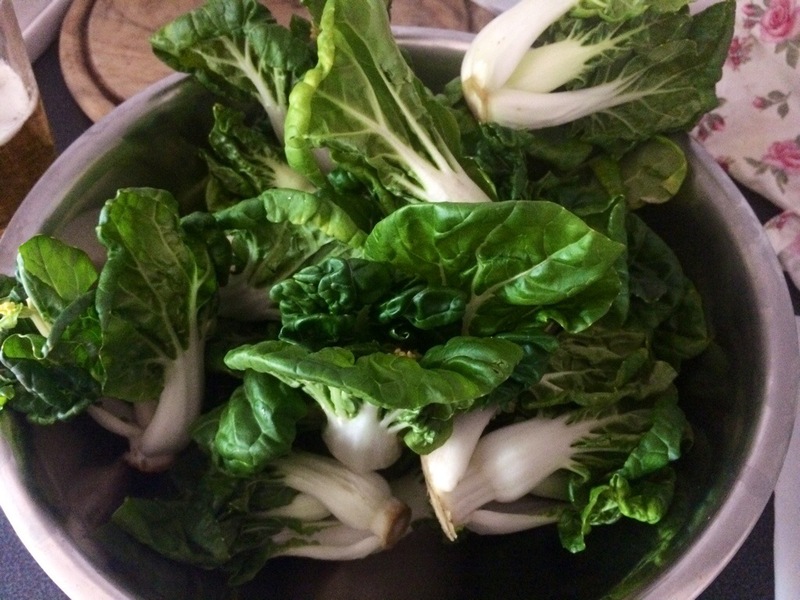 Tags: all recipes, chinese food, food, frugal food, leftover lamb recipes, oriental supermarkets, oyster mushrooms, pak choi recipes, rember how easy stir fries are? 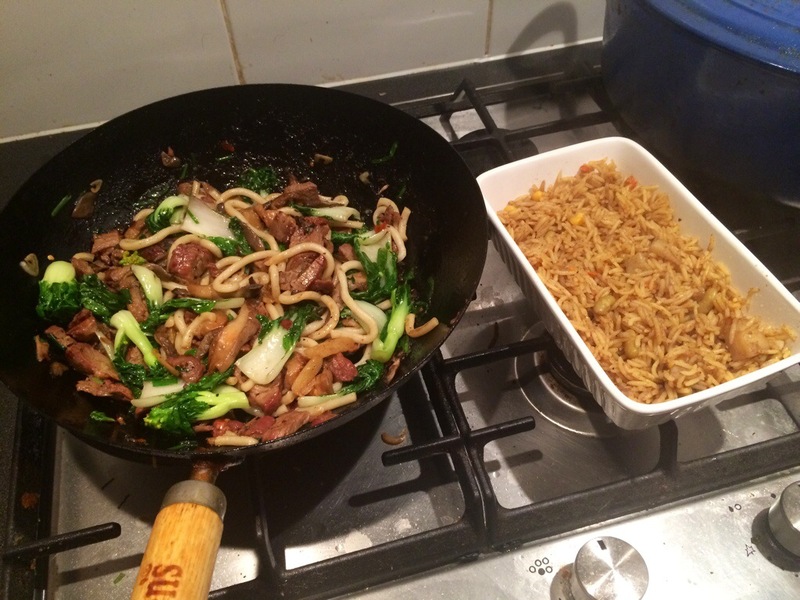 That stir fry looks amazing! Thanks! its so easy its crazy!